QCS is an accredited certification body that offers a wide array of certification options for several schemes/scopes including GLOBALG.A.P. We believe a streamlined option will benefit all and establish transparency in the marketplace. 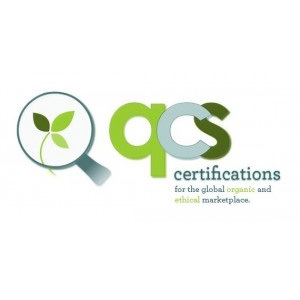 QCS is a USDA and ANSI accredited certification body that offers a wide array of certification options for farming of crops, livestock, aquaculture, animal feed manufacturing, packing, handling and processing, wild harvest operations and chain of custody. As the largest certifier on the United States eastern seaboard, QCS certifies clients in 37 states and 11 countries, meeting the needs of operations regardless of type, location or size on the ever-expanding worldwide market. Florida Organic Growers, the parent organization of QCS, has been involved in promoting organic and food safety for more than 25 years.